The Blackberry messenger for Android and iPhone users just rolled out their latest update. BBM v2.2 for Androids and iPhones is powered with new features which simplifies users interface and makes it easier for the new BBM users to join the community and faster to include new contacts. BBM v2.2 has made registration easier for the new BBM users by reducing the number of sign up fields and also makes chatting and sharing faster. You can easily get started with the BBM v2.2 just with your Name, Email and Password. With the new BBM v2.2, users interface for friendship has been made easier, this time, you can easily invite by mail just by clicking on the link provided, rather than the old version that invites of friends was complicated. 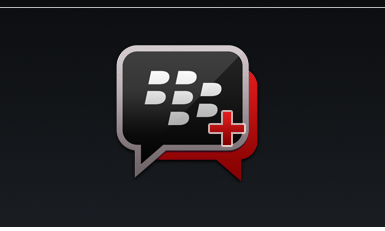 This time around, it's been made easier and faster, no need to send BBM Pin for invite response. The BBM v2.2 now has 16 new emoticons from a marcars and hotdog to a pair of hot lips and hacker. BBM v2.2 has also improved users experience by renaming the update tabs to feeds and also made improvement to the latest statuses, profile photos and users BBM contacts. hi mate. thanks for sharing this post. does it work on google nexus?How to Root HTC Desire Android.